In May 1962 were delivered for the first time 5 trolleybuses of the Czech type ŠKODA 9 Tr to Eberswalde and brought to the use. 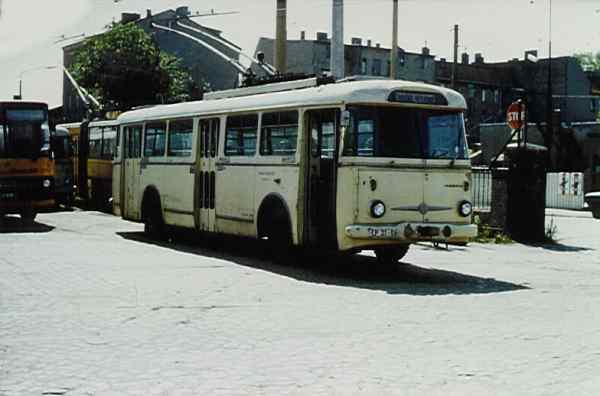 The trolleybuses were manufactured by the company ŠKODA Ostrov / ČSSR. The trolleybus of the Czech type ŠKODA 9 Tr was a further development of the trolleybus of the Czech type ŠKODA 8 Tr. These trolleybuses were easier type of construction and had a novel electrical control system.